When I started A Peace of My Mind, I set out to hear from people of all backgrounds. Especially the ones I didn’t know well. Especially the ones whose voices seemed to be lost in the public debate. It was my own path to explore the world and expand my understanding beyond what I could find on the news. When I got a few stories into the process, I recognized I didn’t have any Muslim voices in the project…and I didn’t have any Muslim voices in my own circle…so I reached out, and invited those voices in. Given the politics of the day, the project would be incomplete without them. I connected with Zafar Siddiqui of the Islamic Resource Group. And he connected me to Imani Jaafar Mohammad, who connected me to Odeh Muhawesh…and so on, and so forth…until my life is now richer for hearing their stories and understanding their perspectives on both local and world events. As the project grew, people suggested I include more young people, more rural folks, more Native American voices, and people with disabilities. And so I did. A project like this can never be demographically perfect…it will never be an exact statistical representation of our country…and that’s not the goal. The goal is to be broadly diverse, welcome voices from all backgrounds, and listen. Last year, after three years of work on this new collection, I received the call I had been waiting for. It was a book offer, and a pretty good one. They offered an advance, a fair budget to work with my own designer, remarkable artistic control, marketing support, distribution, and a reasonable royalty structure. It was what I had been hoping for…with one gigantic catch. It was a faith-based publisher. That, by itself, was a good thing. I am a faith-based person. But their theology was more conservative than mine. They were eager to bring the book into the world, but they needed me to remove the gay and lesbian voices from the collection. Four stories, in particular, were stumbling blocks for them and they wouldn’t include them in the book. I argued my point and explained that A Peace of My Mind was a project about listening to others, whether we agree with them or not. I said that it would destroy the integrity of the project if we censored certain voices because our theologies disagreed. I said it’s important to recognize and acknowledge the humanity of all people…not just the ones we agree with. I wondered out loud…if we were talking theology as justification…how this Christian publisher would include the story of a straight Muslim man in the book, but not the story of a gay Christian? To be honest, I felt like my arguments were compelling. I thought I was getting through. But in the end, the publisher wouldn’t budge. I walked away from the best publishing deal I had ever seen, because it was the right thing to do. (you can read more about that decision here). We’re all in this together…and we need this conversation more than ever. Self-publishing was not my goal. I thought the marketplace would want this, but the book needs to be done the right way…and it will. 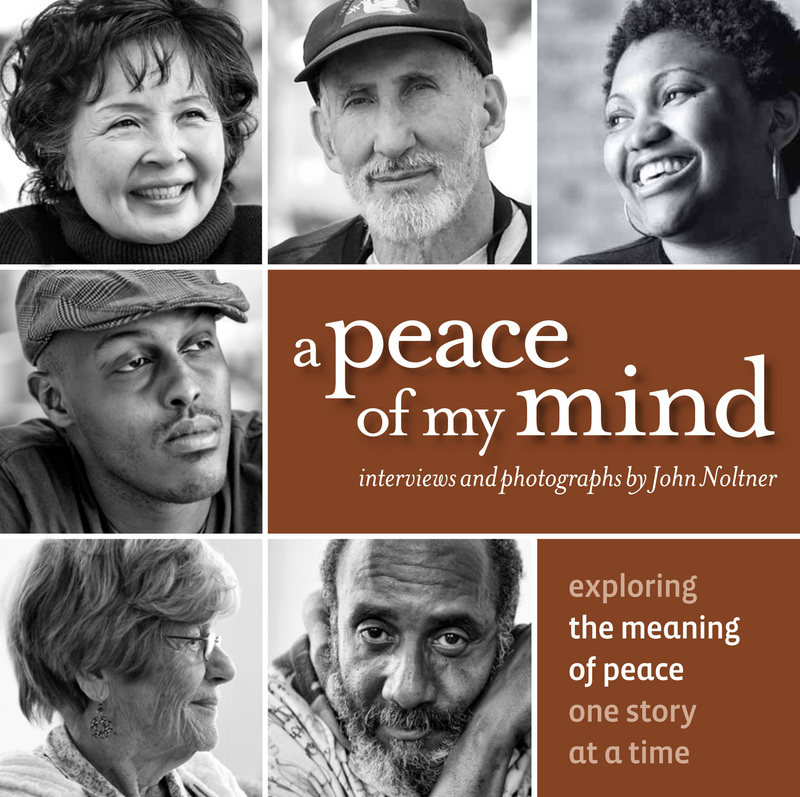 We are going to self-publish A Peace of My Mind: American Stories and release in on September 21, the International Day of Peace. And it will be beautiful. That much is certain. The question is, how big will this release be? How big of an impact can we make? How far will our press releases reach, and what sort of coverage will we get? How loudly will our message be heard? Think about your news cycle. Think about the voices that are heard and the messages that are told. A Peace of My Mind offers an alternative. It holds up examples of people from all backgrounds who are working for positive change in the world. After years of developing this project I finally realize that A Peace of My Mind’s greatest gift is the ability to amplify those voices…and to use them as models for how we can move forward together. I need your help. We have one week left to fund our book. It’s impact will be large or small based on your response. It’s simple math. Right now we are 43% funded, and I owe a huge debt of gratitude to the 85 backers who have gotten us this far. But there’s much more to do. I need your help to do it. Pre-order the book. Buy a box and read it with your book club. Share it with your youth group. Give one to your friends…your library…that one uncle. We’re all in this together. I’m asking you to stand with me and help lift up these voices. For a better tomorrow. For a better world. For a better way forward. We’re all in this together. Are you in?